Every day, we see advertisements for miracle hair care products that are guaranteed to give you soft, shiny, healthy, manageable hair. But, a lot of these products contain chemicals that aren’t really all that great for our hair. If you really want to find hair care products that ARE good for your hair, you need to take a look at organic shampoos. Organics aren’t just for our diets, and they can help give you hair that is healthy and gorgeous. To help you make the best choice for the products you are using on your hair, we have compiles a list of our favorite organic shampoos that include their benefits, ingredients, and tester remarks. Thinning hair is a problem for many people – both men and women. This shampoo contains a number of ingredients that are believed to help hair grow longer and stronger as well as help halt hair loss and give new hair a chance to grow. Packed full of the B vitamins that are so crucial to healthy hair this shampoo also contains aloe, jojoba, rosemary and wheat germ – all ingredients that are believed to help hair grow and even restore itself. This shampoo has garnered rave reviews from many of its users who do indeed feel that it not helps their hair look thicker but while it does not regrow hair in anyway ( a misconception that some people had and not a claim that the manufacturer made) it did make it appear much fuller and feel stronger – something that can be a real confidence booster for those sensitive about their thinning hair. Contains no parabens, harsh sulfates, or preservatives. Contains no synthetic colors or fragrances, and has a fresh, clean scent. Another unusual idea to some might be putting castor oil in their hair but women have actually been doing so since Cleopatra’s time back in Ancient Egypt in an attempt to keep their hair moisturized and healthy and thousands of women still do so today. This shampoo contains Jamaican Black Castor Oil which many people have found to be effective for smoothing frizzy hair and adding body and shine as well as helping hair faster. 100% natural and free of alcohol and sulfates this shampoo is a big hit with ladies with thicker, curlier harder to manage hair. People who like the product praise its ability to leave them with smoother, silkier hair that can be styled without the need for chemical straighteners or hot styling tools. As this is a shampoo that contains no sulfates it does not lather as much as a drug store shampoo, something some people did not like and some also found the smell a little overpowering (although they did like the end result). This all natural shampoo is a “clarifying” shampoo, designed to free the hair of a build up of styling product and other pollutants. Regular shampoos often leave traces of these things behind and most professional stylists do recommend that anyone, whatever their hair type use a clarifying shampoo in place of their regular brand at least occasionally. This shampoo has a great many all natural ingredients – Aloe Vera, Witch Hazel, Jojoba oil and Japanese Green Tea, all excellent cleansers. Those who liked this shampoo found it did take a couple of washes before they noticed a real difference (which is actually something that the manufacturer states you might right on the bottle) but when they did most found that their hair had extra body and was far easier to style and control even when wet. This is a shampoo that is designed to help repair some of the damage done by coloring products and other chemical hair treatments. In addition to grape extract it also contains rosemary, yarrow, witch hazel and coconut oil – substances that clarify and moisturize hair. Those who liked it thought it did a great job of making dull damaged hair look stronger and healthier and although it is not marketed to people with oily hair a number of people with that hair type found that using this shampoo helped to alleviate the problem quite a lot and reduced the need for daily hair washing. Another “dual use” product this shampoo is designed for babies but some Moms find that it works just fine for them too, especially those with fine hair. The ingredients are very simple with the primary one being organic calendula flower, a gentle natural plant based cleanser. Moms tended to love this product for their kids because it is free of artificial ingredients and is very gentle both on hair and skin. This is another sulphate free offering that has an intense, tropical aroma that some people love and some people find to be a little too much. In terms of ingredients it contains natural aloe vera extract, Awaphui, a Hawaiian wild ginger that softens hair and Kukui nut oil that is rich in the Omega 3 fatty acids that help hair grow faster and stronger. People who liked this shampoo felt that it left their hair feeling very clean without feeling too dried out and that it helped make fine hair a little more manageable when styling. This shampoo was around long before organic shampoos became trendy. It is very simple – its only ingredients are Potassium Solution and Coconut-Olive-Jojoba-Peppermint Oils and it is designed to be used as an all in one shampoo, body and hand soap. Most people do not use it as a shampoo on a regular basis but find its great in a pinch although it can leave a slightly waxy feel on oily hair. We hope that you have learned a lot today about the many benefits of using organic shampoos instead of chemical-based hair care products. We have shown you what ingredients go into both types of products, and given you the information you need to make the best choice for your own hair. Of the shampoos we tested, by far, our favorite is Art Naturals Organic Daily Argan Oil Shampoo, because it is an all-around awesome product. Of course, you can do your own comparison, and find the organic shampoo and conditioner that best suit your hair care needs. Organics VS. Chemicals: What do You Think? There are always going to be arguments about whether or not organic products are really any better for us than other products that contain chemicals. Think about it. The word “chemicals” should be a huge warning sign right there that something isn’t right. Our bodies come from nature, so the products we use and the foods we eat should also come from nature. With this in mind, we would like you to take a look at some of the harmful ingredients found in chemical-based and organic shampoos, as well as the pros and cons of both types of products. Then, YOU can decide what you would rather be using on your hair. What is in Your Regular Shampoo? If you buy cheaper shampoos from your local department store or pharmacy, it is likely that you are not doing your hair a lot of good. Most of these products are loaded with chemicals that you wouldn’t want to put in your body, so why would you want to put them on your body? Take a look at some of the nasty things found in chemical-based shampoos. Okay, so now that you are completely grossed out by all of the nasty ingredients in chemical-based shampoos, let’s take a look at some of the healthy, natural ingredients found in organic shampoos that help to promote good hair health. These are some of the main herbal ingredients that are used in many chemical-free shampoos. 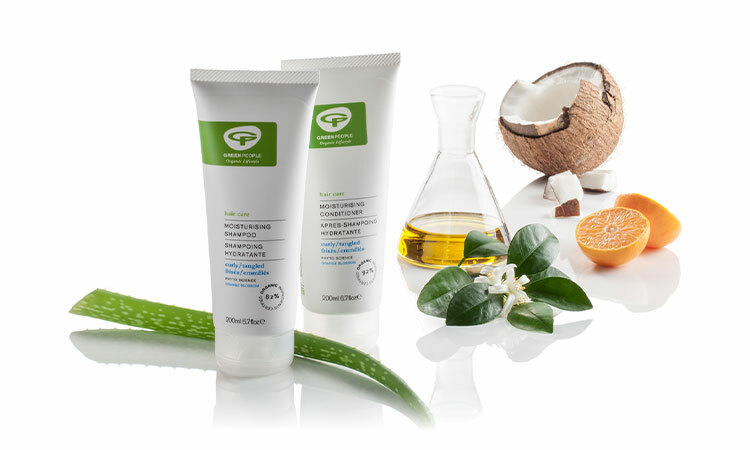 Here are some more natural ingredients that you will find in these products. Water – This is also seen on labels as “aqua”. Often, the water is purified through reverse-osmosis technology. Or, other liquids such as aloe vera are used to make the shampoo thin enough to use. Detergent – Organic shampoos do not contain harsh detergents. What they do contain are ingredients that clean the hair without detergents (often without a lot of lather as well, but this doesn’t mean your hair isn’t getting clean). Conditioners – Most organic shampoos contain conditioning agents, which are all-natural, such as herbs and plant oils. Thickeners – While chemical-based shampoos use chemical products as thickeners, organic shampoos often use natural plant gums. Preservatives – In order to last a while, most products need to have preservatives. But, these preservatives do not have to be chemical. Organic shampoos often contain natural preservatives such as grapeseed oil, benzoate, and sorbate. Fragrance – With chemical-based shampoos, you will find artificial scents that are often overpowering, and made from chemicals. This is not good for anyone with sensitive skin. Organic products are scented naturally via the essential oils and other natural ingredients. Color – Artificial color is generally used in cheaper shampoos, and these colors are usually made up of a recipe of chemicals. Most organic shampoos have no colorants added, and those that do have color use natural dyes. Medicinal Ingredients – Some organic shampoos may contain medicinal ingredients used to treat thinning hair, dandruff, etc., such as minoxidil. Most people don’t realize that the shampoos and conditioners they are buying at their favorite department stores are actually doing more harm than good to their hair. Sure, there are a few good things to be said about chemical-based shampoos, so let’s take a look at the pros and cons of using these products. As you can see, there are a lot more cons than pros when it comes to using chemical-based shampoos, and these are just a FEW of the cons. Now, let’s look at the pros and cons of organic shampoos. You will notice that the lists are reversed, with a lot more pros and hardly any cons for organics, as opposed to the chemical-based products that aren’t very good for your hair. This shampoo is packed full of ingredients that are great for all different types of hair. There is aloe vera for shine and body, rosemary for strength and color clarification (even for naturally colored hair) and wheat germ to add even more strength. In addition to these all natural ingredients this shampoo is free of parabens and all artificial colors and perfumes and has a nice fresh scent that many users like a lot. Those who like this shampoo tend to have fine hair prone to a little greasiness and they liked the way it performed as well as the way it produced a good lather, especially for a sulphate free shampoo. A number of users prone to dandruff and itchy scalp found that not only did it not help clear up the problem some felt it made it worse. The list of ingredients contained is this lovely smelling shampoo is an impressive one, including honeysuckle and rose oils, Extracts of Fennel, Hops, Balm Mint, Mistletoe, Chamomile, Yarrow, Ginkgo, Ginseng, Angelica, Chrysanthemum, Magnolia, Horsetail, Coltsfoot and Forsythia and coconut and sweet almond oils. All of these ingredients are great for adding moisture and shine to hair, making this shampoo an ideal choice for those with dry hair that tends to break easily. Fans of this shampoo loved its smell and felt it did a great job adding moisture to their hair without making it look oily or greasy. Some were a little put off by the lack of lather but that is fairly normal for a sulphate free product like this one as it is those chemicals that are responsible for the excessive amounts of lather some shampoos produce. The lather does not really serve a purpose as far as cleansing hair but some people do prefer it is there! Although adding olive oil to shampoo might seem like a rather strange idea first it is in fact a substance that has been known for its ability to strengthen and moisturize hair for a long time, going back centuries in fact and has long been used by those hoping to tame coarse hair. Technically though this shampoo is not completely organic in the sense of the word you might be expecting. 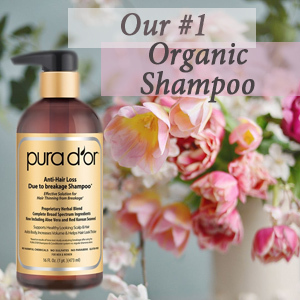 Unlike some other certified organic shampoos, which contain no artificial ingredients this shampoo does contain parabens and sulphates although the olive oil it contains is natural. On the positive side many people who tried this shampoo found that it made a noticeable difference to the manageability of their difficult hair and that it softened coarse hair very well. This is a slightly different kind of organic shampoo as it is designed to be an all purpose product that can be used as a shampoo and a body wash ( a convenience that some people really like) Its ingredients include Certified Organic Aloe, Organic Comfrey, Organic Calendula, Shea Butter, Kukui Nut Oil, Safflower Oil and Natural Vitamin E and since it is designed to be used on babies as well as adults it is “tear free”. This is a shampoo that tends to be a hit with whole families and Moms have raved not only about how nice it leaves their children’s hair but also how it helped solve dry skin problems (something that can be very painful for babies.) Fans of this product also love the smell which is described as sweet and light and not at all overpowering. Dull, rather lifeless hair is a problem for many people and often even styling products designed to add shine and volume are not very effective leaving some people with oily, sticky hair instead. This shampoo is designed to add body and shine naturally and contains Hydrolyzed Soy Protein for conditioning and Chamomile and Green tea to add shine and improve hair elasticity. Fans of this shampoo say it leaves their hair with more volume and a “cleaner feel”. Some even say that it does such a great job of moisturizing their dry hair that they have switched to a lightweight conditioner only. Nexxus is a very well known name in the mainstream beauty industry and it may surprise some that they make an organic shampoo at all. This is perhaps not however a completely organic shampoo as it does contain sulfates, something some people feel organic shampoos should not. It does however contain natural soapbark extract, Manuka honey and pineapple extract. Those that liked this shampoo though really loved it, raving about how shiny and manageable it left their hair as well as the great smell. This shampoo is paraben free and has only limited number of sulfates as well. The lavender and rosemary it contains is there to strengthen hair and reduce breakage while providing just the right amount of extra moisture. Rosemary also helps reduce hair loss while adding the illusion of additional volume to fine hair. Fans of this shampoo liked the way it left their hair feeling and some felt it really did help halt hair loss. Others just really liked the smell and the lightweight conditioning. This is another shampoo designed for regular use as a clarifying shampoo. It contains a number of clarifying and strengthening ingredients including rosemary, sage, lemon extract and chamomile. This shampoo gets especially good reviews from people with oily hair who found that it helped “cut through the grease” without drying their hair out or making it look dull. Dandruff is a problem that can be very hard to deal with and many people think that only the harsher chemicals in drug store shampoos can have any effect at all. This shampoo does not contain any of those chemicals but instead uses a combination of essential oils – tea tree, rosemary, lemon bark, lavender and avocado – to combat dandruff instead while also containing the B vitamins that are so good for hair’s overall health. Those who like this shampoo – and that is a lot of people – all say pretty much the same thing – that it works very well to reduce dandruff and flaky scalp and that they have stopped using drugstore shampoos and have switched to this one instead! This shampoo is sulfate and paraben free and contains both organic coconut milk extract and egg white proteins which add strength and elasticity to hair. Fans of this shampoo love it for its decadent smell and surprisingly rich lather but some do complain that it has a tendency to dry their hair out a little and not using an additional conditioner is not an option! Some also find the coconut smell a little overpowering but that does tend to be a matter of personal taste as some people who have reviewed it love the aroma! Biotin is an essential B vitamin that helps health grow longer and stronger but that is not all that this shampoo contains. It is also enriched with keratin amino acids, another great substance – it’s what hair is made from anyway and the extra dose can help mend split ends. There is ginseng, jojoba oil aloe vera and chamomile in the formula as well. Many of the people who tried this one loved it but surprisingly perhaps the real rave reviews come from guys who like the way it leaves the texture and feel of their hair but does not leave behind a feminine scent. Men with thinning hair also felt it made what hair they had look thicker and stronger. This shampoo is a clarifying product infused with real tea tree oil to help calm an irritated scalp as well. The natural antibacterial properties of tea tree oil are responsible for that and tea tree oil is considered to be a great weapon against dandruff as well. This formula also contains peppermint oil which has a cooling, relaxing effect when it is massaged into the scalp. People who have tried it rave about that refreshing peppermint and its wonderful aroma and some swear they can come out of the shower feeling more energized because of it aside from having soft clean hair as well. People with oily hair also found it as effective as people with dandruff did but some with “normal” hair the shampoo dried their hair out a little. This shampoo, which is full of essential oils like Basil, Nettle, Lemon, Orange, and Lime oils as well as olive oils is designed to restore strength and shine to hair that has been damaged by repeated colorings without stripping away the color that is there. The shampoo has a pleasant jasmine scent that is relaxing and a light feel. There are no sulphates but reviewers say in spite of that fact the lather is creamy and rich. This shampoo is popular with women of color as well as with women who have damaged hair as they feel it makes their hair softer, easy to manage and smooths out a lot of the natural “kink” in their hair. This shampoo is designed to put moisture back into dry, damaged hair and seal it there so that hair remains soft and shiny when it has been dried and styled. In addition to pure shea butter it also contains argan oil, a Moroccan oil known for its shining properties. Some people balk at the price of this shampoo as it is rather high but those who like it best are people with very damaged hair -either from coloring or chemical processing – who feel it works very well to repair split ends and add moisture back to their hair that the chemicals had stripped out. Neem oil is another essential oil that like tea tree oil is known for its ability to calm an irritated , itchy scalp and help reduce dandruff and flakes. The shampoo also contains cherry bark for extra shine and chamomile for clarifying purposes. Those who liked it found it helped relieve not only a general itchy scalp but scalp problems caused by more serious conditions like psoriasis and rosacea and it appealed to guys because of its light, not too feminine scent. Some posts may contain affiliate links. Hairspiration.net is a participant in the Amazon Services LLC Associates Program, an affiliate advertising program designed to provide a means for sites to earn advertising fees by advertising and linking to Amazon.com and any other website that may be affiliated with Amazon Service LLC Associates Program.